There are many occasions that are ideal for you to send flowers to another person, and the benefits of flowers as a gift are many. Not only are they beautiful living things, but they are also inexpensive and well-received by anyone you send them to. Can't think of something to send your loved one on their birthday? Flowers might be the perfect solution. Everyone can appreciate the aesthetic appeal of an expertly-designed bouquet, and it will surely be better received than a pair of socks or even a gift certificate. Valentine's Day often leaves many men wondering what the best gift for their special someone would be. Chocolates alone aren't quite enough, and jewellery might be too expensive. Why not send her flowers? The smile on her face when she receives them will keep the romance alive and help guarantee that you'll be her valentine for many days to come. Besides, you can always add chocolates or balloons to your gift to make it more substantial. Flowers are also ideal for many other situations. Have them delivered to a corporate event to liven up the room, or send them to a sick friend or family member to remind them how much you care. Studies have proven that the presence of flowers helps alleviate stress and to speed along the healing process, which makes them beneficial for either situation. Flowers play an important role in a wedding, helping to make the atmosphere as vibrant and enjoyable as possible. Send the engaged or newlyweds a bouquet to let them know how happy you are for each of them, and you'll help to make their special day even better. Flowers are a good choice for when the loved one of a friend or co-worker has passed away. Send a beautiful floral arrangement to let them know that you're thinking of them, and it will help to alleviate the sadness and pain of their loss. 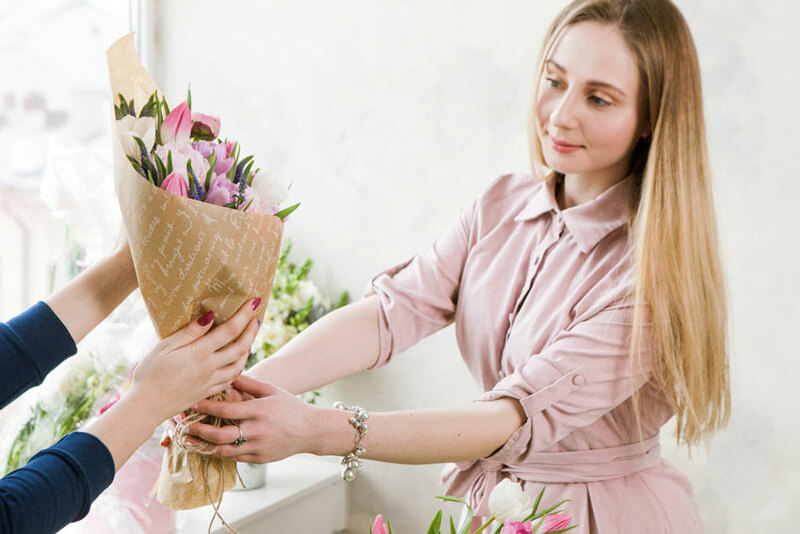 It can also be a good idea to send flowers to a business affiliate to help improve relations, or to smooth over the rough edges of a current deal or project. Send them to a friend or family member for no reason at all except to express your love with a pleasant surprise that will help to brighten their day. Remember that you can send flowers to anyone on any occasion, and that your attractive and delightful gift will be very well received when you do.